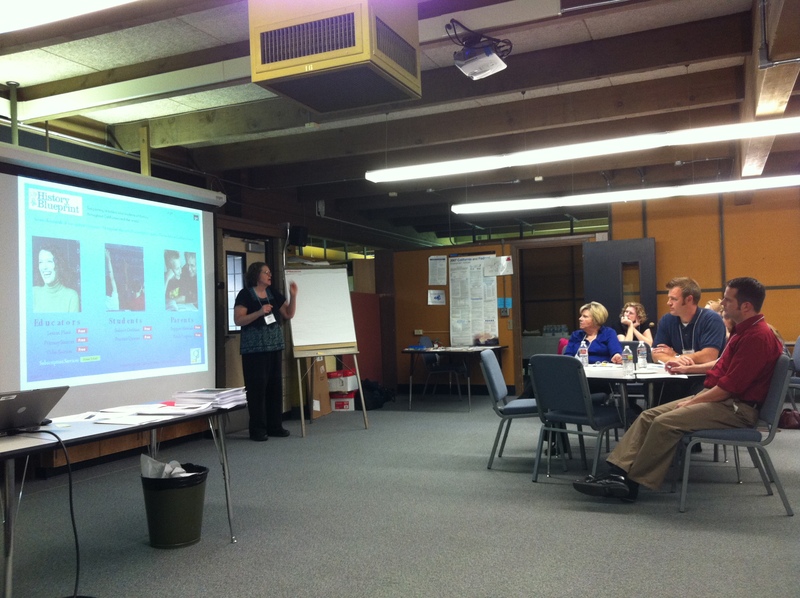 Last week we held the last of our focus group meetings at the Mt. Diablo Unified School District. We were especially honored that Linda Hutcherson, the SASS and SS History Coordinator for the district, came to give us feedback, despite her busy schedule. 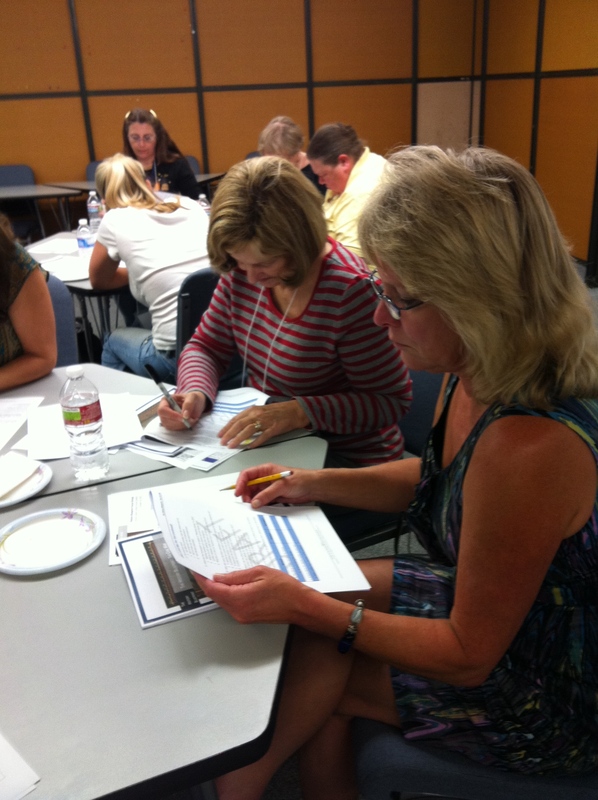 In addition to her input, the 25 teachers who attended gave us quite valuable feedback. 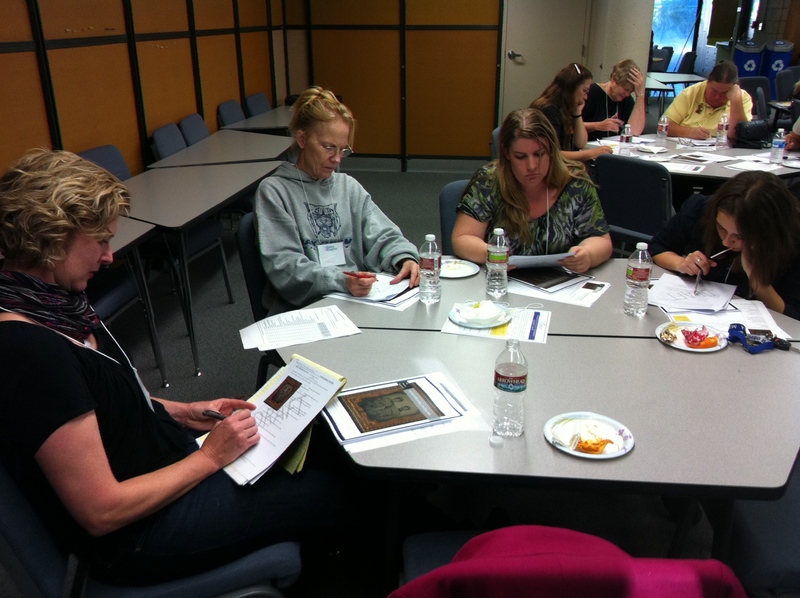 In this focus group, as in the others we have held in Orange, Long Beach, and Oakland, teachers and administrators were enthusiastic about the goals of the History Blueprint. 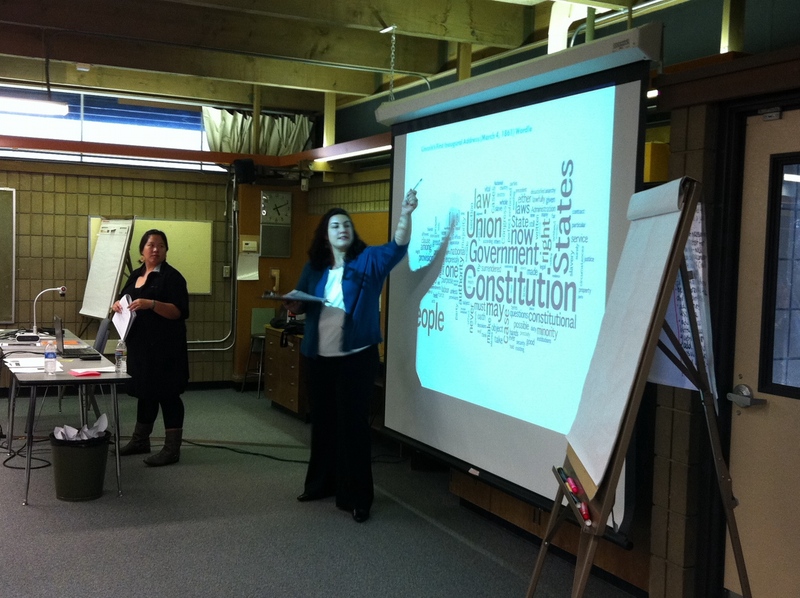 They applauded our goal to combine the History Social Science content standards, the Common Core literacy standards and historical disciplinary skills together in each unit. They were very pleased that the lesson plans, sources, assessments, and activities will be made available for free on the web. Most thought that giving parents access to background information and reports on their children’s progress was a worthwhile goal, as well. Many urged us to do even more – adding more possibilities for differentiation of instruction, and taking advantage of computer technology to make our activities more interactive, for example. They liked the level and variety of questions on the Pre-test Blueprint Pretest Final for Focus Groups October 2011 but also expressed their concern that the pre-test was too long and contained too much text to read for English learners and students who have difficulty reading. 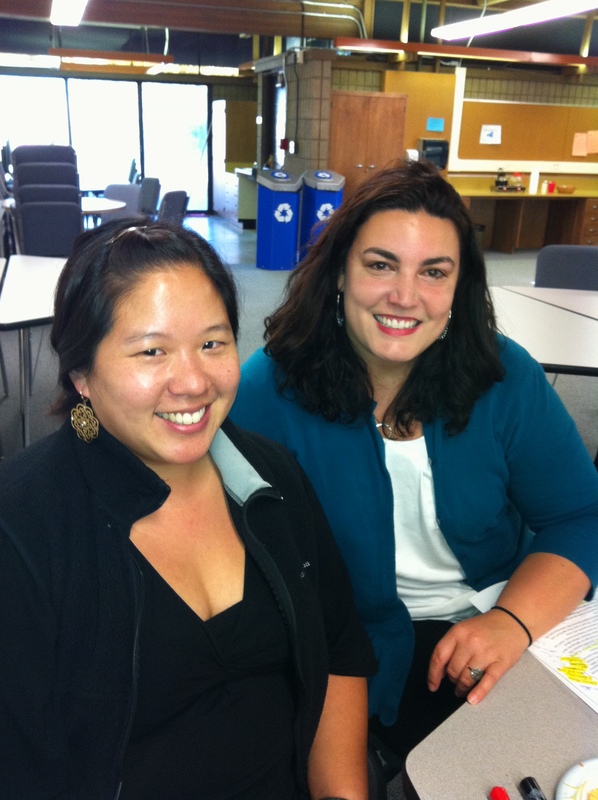 Our Northern California teacher leaders, Jah-Yee Woo (of the Oakland Unified School District) and Angela La Torre (of the Mt. Diablo USD) presented the Lincoln’s Speeches lesson (Lesson 4 – Lincoln’s speeches for focus groups final) from our model Civil War unit. 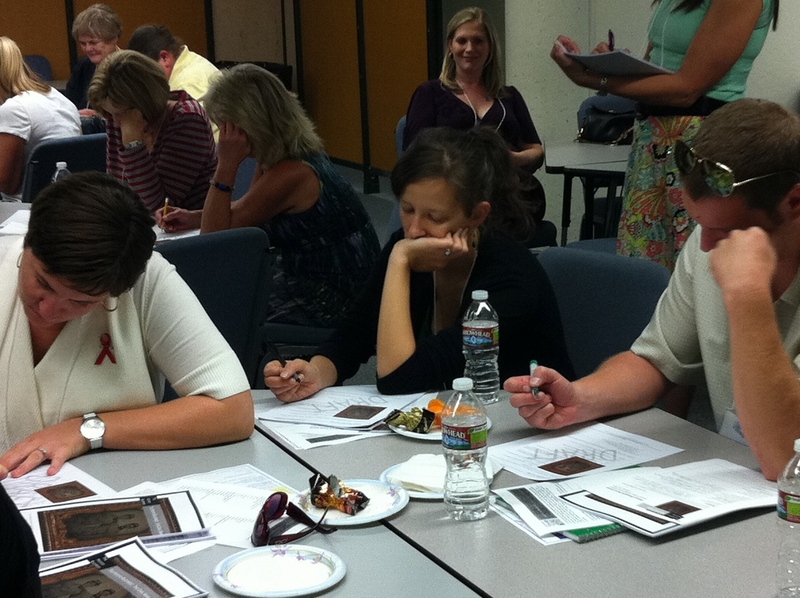 By now it was 5pm, and despite a long day of teaching, the teachers participated enthusiastically. They offered detailed critiques to improve the lesson, even telling us which words to define for students, and how differences in layout could aid student comprehension. I’m sorry that I can’t show you pictures of all the focus group meetings, but I want to thank all the teachers who took part for their support, their honest and constructive critiques, and their enthusiasm. After showing the Blueprint Civil War unit to teachers, I’m even more excited about work we’re doing.